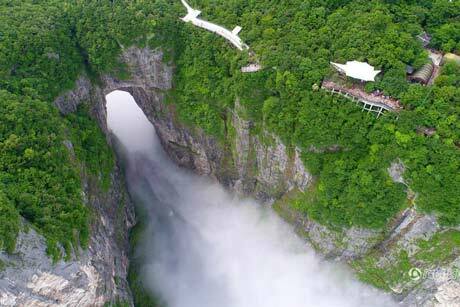 Located in Hunan Province, Zhangjiajie is known as a famous tourist city. 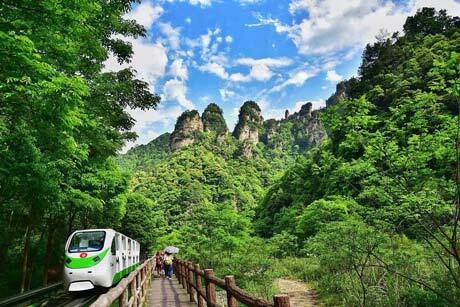 When people say that they go sightseeing at Zhangjiajie, they usually means Wulingyuan Scenic Area. 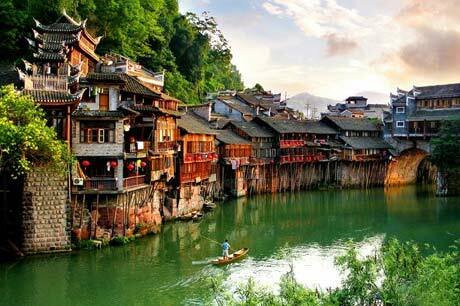 Wulingyuan Scenic Area covers an area of nearly 400 square kilometers. It is composed of Zhangjiajie National Forest Park, Tianzi Mountain Natural Resort and Suoxiyu Natural Resort, Yuanjiajie and Yangjiajie. 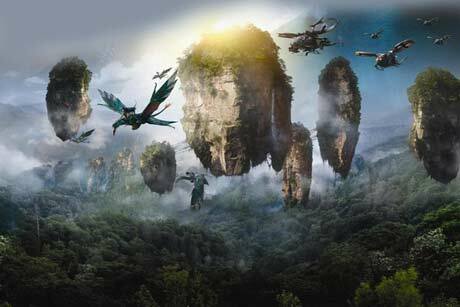 It has become more popular since one of the attractions named Qiankun Column is known as the prototype of floating Hallelujah Mountain in the movie Avatar. When is the best season to visit Zhangjiajie? 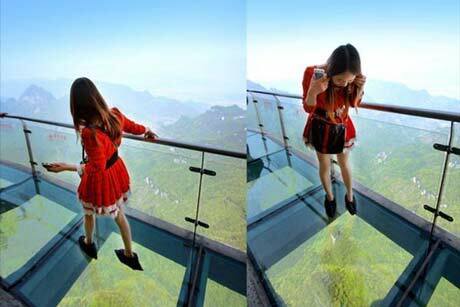 The best time to visit Zhangjiajie is from April to October. It is rainy in July. It is advised not to climb the mountain in rainy days for it will be slippery. Winter in Zhangjiajie is quite unique. If you are lucky enough, you will see the cloud sea or trees covering with glaze. Arrival and departure from Changsha Huanghua Airport. ***No Shops, No Factories, Convenience and thoughtful for expats to explore the most must see sightseeing in Hunan Province! Arrival and departure from same Zhangjiajie Dayong airport. ***No Shop, No Factories, enjoy your time and this intimate contact with nature journey and feel the charming of Phoenix city! 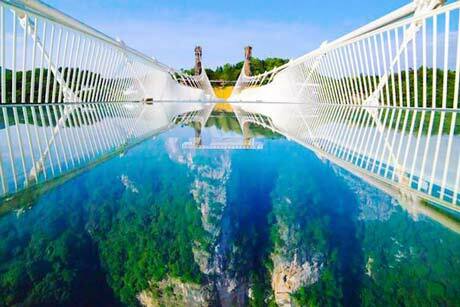 Experience the stunning glass bridge, totally take your breath away. ***No Shop, No Factories, Have a nice trip to Zhangjiajie and Phenix Ancient City. Enjoy an exciting drift to Mengdong River as adventure enthusiasts. *** No Shops, No Factories ! Spend your short vacation to enjoy Zhangjiajie peaks peculiar landscapes and magnificent karst landscape, fascinating, like being in Wonderland mountains. *** No shops, No Factories, so this trip is tailor-made for your short holiday! The karst formations of this forest park are amazing, as is the ecological diversity. Spend a few days and take in the trails, rainy mist, and monkey gangs. 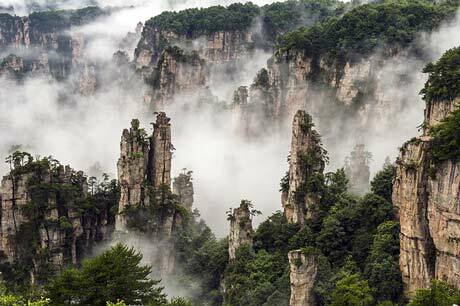 As many know, Zhangjiajie's mountains were the inspiration for Cameron's "Hallelujah Mountains" in the movie Avatar. 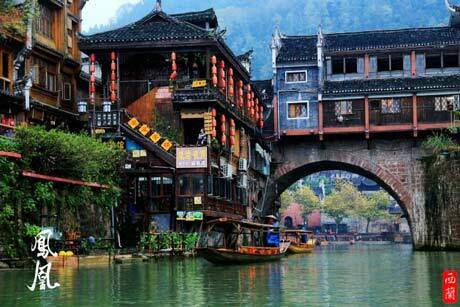 Fenghuang Ancient Town, literally means Phoenix Ancient Town, is known as the most beautiful town in China. It was first built in the year of 1704(Qing Dynasty). Over 300 years’ history, it still remains its original apperance. 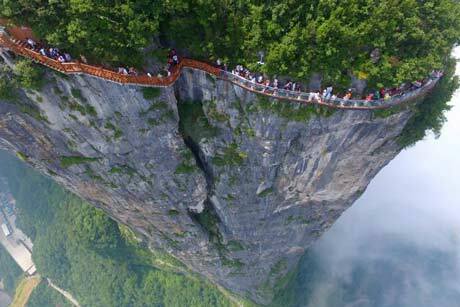 view of tourists walking on the 100-meter-long and 1.6-meter-wide glass skywalk clung the cliff of Tianmen Mountain in Zhangjiajie National Forest Park.The Coiling Dragon Cliff skywalk, featuring a total of 99 road turns, layers after another, is the third glass skywalk on the Tianmen Mountain.